Is it the passing bus, the snowman on the window or the grey Toyota Prius? 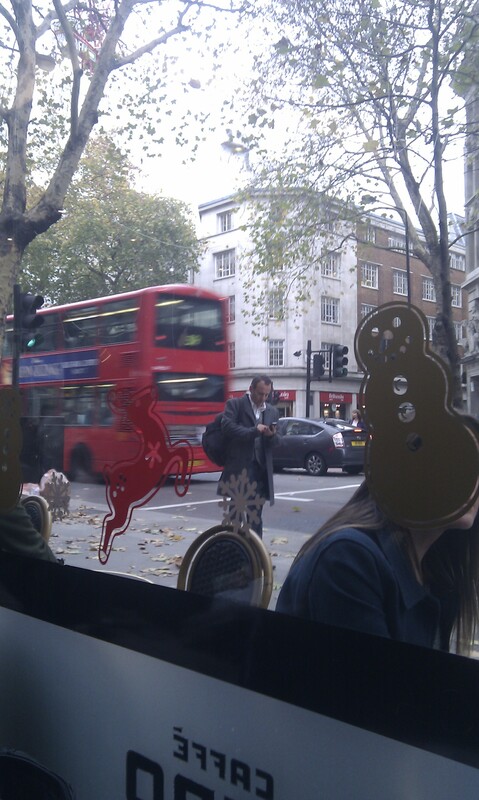 Or is it the man stopped in his tracks, focussing his full attention on the 4 inch screen of his iPhone? People watching never gets old. 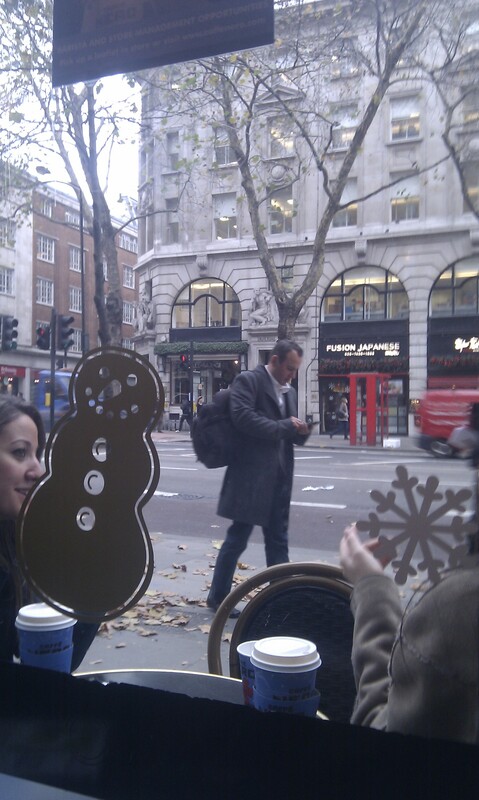 Sat in a cafe in London, I’ve spent some time watching people walk by. Not because I’m a stalker, but because I enjoy observing behaviour and trying to put some reasoning and understanding behind it. After all, it is very important for a communicator and marketer to try and get themselves into the heads of others, to try and understand what motivates them, what interests them, what excites and delights them. Weeks ago I wrote about brands interacting online and offline and argued that there’s a holy grail for a business to manage both its online and offline presence together. However, what about humans? How we interact with each other offline and how we interact with each other online can be very different. To some degree, technology allows us to momentarily disconnect from the world around us and become involved in a screen to help us fulfil a task. Don’t get me wrong, I absolutely love technology and think that the impact it has had on making our lives easier and more connected cannot be ignored. However, I would argue that we are still getting to grips when as and when technology should be used for certain things and in some cases, it takes away the ‘serendipity’ that day-to-day life can bring. Will the phrase ‘I was in the right place at the right time’ continue to hold true if ‘pre-social networks’ such as Jyotish become mainstream? Put it this way: let’s say the man in the photo was looking up how to get to a nearby restaurant. Using his phone (online), he is introverted, confident and self-reliant that he can find it. If he looked up and asked a passerby, or walked into a nearby shop to inquire (offline), he would probably still find the place, however it might take slightly longer, he might be given incorrect directions or he might not find someone to ask.